I love a good chew! Don't you? The humans at Jones Natural Chews have been making pawsome chews for decades! These delicious all natural chews are certified made in the USA. I was introduced to Jones Natural Chews this year when I met Flea. No, she isn't the kind of flea that bites dogs or makes them itch. Flea is the official blog human for Jones Natural Chews. She is furrific! Flea and Suzy Jones were at BlogPaws, greeting pals at the Jones Natural Chews booth. *Jones Natural Chews is a multi-generational family company. * Flea & Suzy had a fun game for the humans to play. 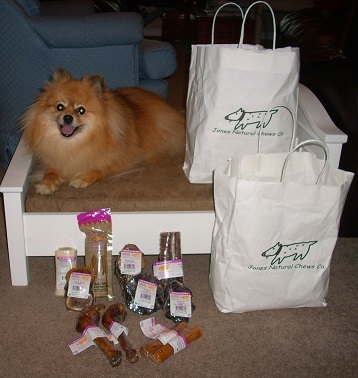 You could "shop" (for free) in their treat booth if your human answered the question right and in the time limit. Mom played the game well enough for me to get a Jones Natural Chews bag of treats! High Paw! 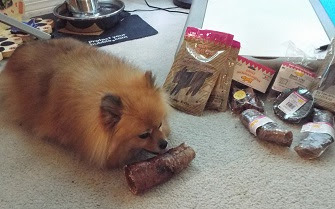 I chose Sausage Sticks, Chicky Links, Woofers, Curly Q, Windees, and several more yummy treats! I have been testing them since I got home. Well, actually I've been eating them as fast as I can make Mom unwrap them. BOL!! They are all delicious! Everyday I nudge the bag of Jones Natural Chews with my nose and look at Mom. I give her the "Well, don't just stand there. Open the bag and give me a treat." look. Mom is lucky that I am well behaved and haven't learned to open my own treats. BOL!! If I were the sort of dog who did that, I would have eaten them all before Mom could take any photos! BOL!! (Ahem - Romeo & Lulu!) Yes, I have heard the stories from your humans! BOL!! I am happy to see that Jones Natural Chews is very serious about safety, quality, and cleanliness. These things are very impawtant to me. Mom thinks they are important too. Mom also appreciates that Jones Natural Chews are exactly that - natural. I love Curly Q chews! You can see in the video how much I enjoy chewing on a Curly Q! 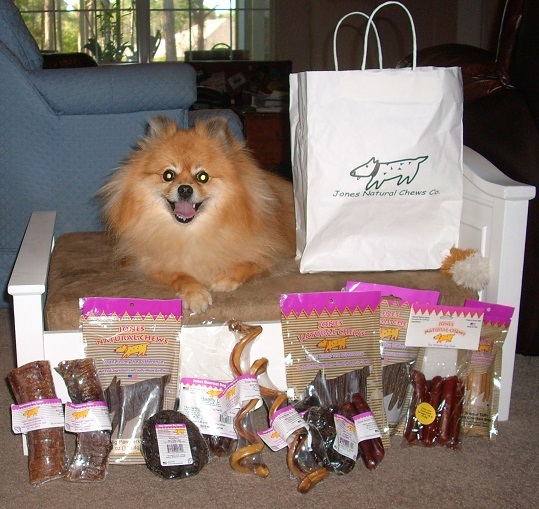 Jones Natural Chews has a very large selection of treats to choose from. 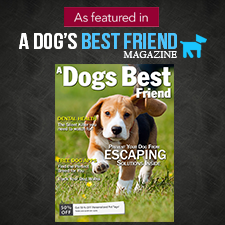 They have soft treats, crunchy treats, an assortment of chews, and all sizes of bones. Jones Natural Chews has it all: quality, selection, all natural, and made in the USA. I am giving away a bag of Jones Natural Chews! The items in this photo are the giveaway prize! 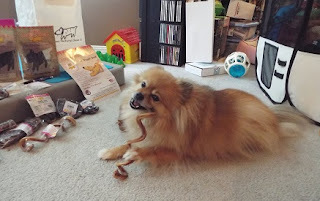 Huffle's favorite chew so far is the beefy rawhide knuckle he was given for Christmas. He will put up with anything when he's allowed to chew on that. 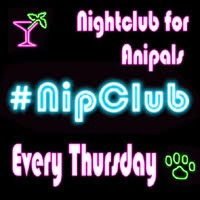 Well that is quite the tasty selection and they sound totally pawsome ! We love treats! We love chewies!! 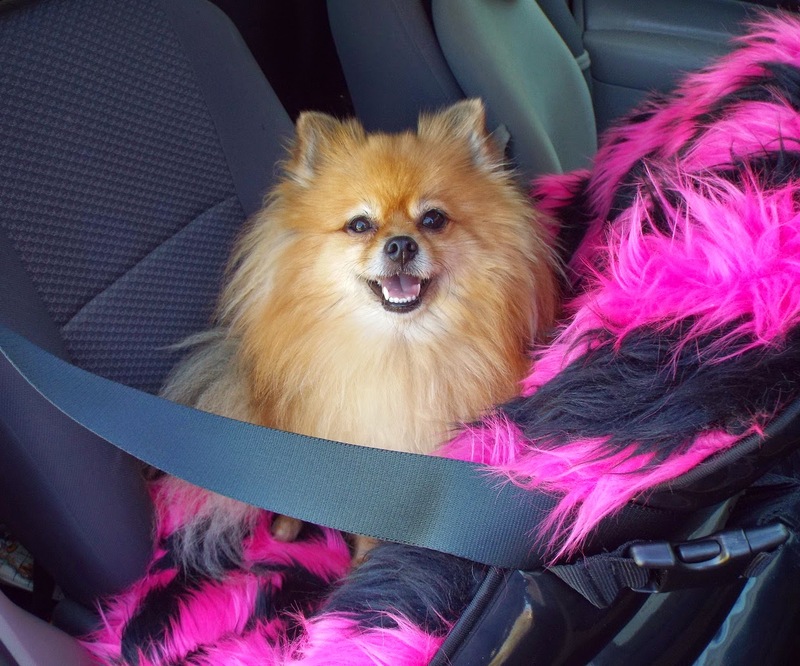 We love Pepper and we love her blog!!! Pepper, they look so Yummy!! You always look so happy and healthy! Toby and Sushi love the curly bully sticks too. They love to make them gooey! Mmmm.. those sure look yummy! Happy 4th you guys! My Simon And Rascal Love The Curly Bully Sticks! Those Jones Chews are PAWSOME! Jack would probably learn to flip mid-air for another Jones Natural Chew. 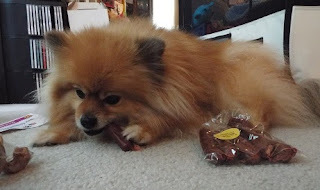 He's not a respecter of treats, either, but he does love the Liver Taffy. My human servant has bribed me to say that my favorite chews are the ones I can't polish off in under 2 minutes. Hi Pepper! Pawsome review, as usual! Favorite type of chew? 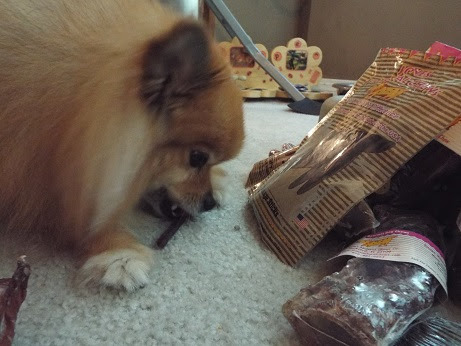 Oh dear, we love all kinds of chews - hard to pick a favorite! We'll just say bully sticks! We haven't given our puppy too many chews, mostly treats. But would be great to get him some special treats like these! Oooh, Pepper. Count me in on this giveaway!!! I love Miss Flea! I've never had treats from Jones Natural Chews. We give our dogs natural homemade sweet potato chews, but they don't do much for cleaning their teeth! My dogs favorite chews are hooves. Vlad and Barkly both love those Windee's things. They're jealous of Pepper! Right now, they really love the Smartbones! polo loves chew toys. 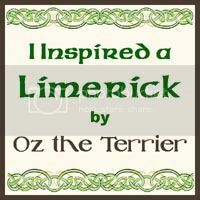 he really likes busy bones or dingos but I would love to try these all natural bones! Thanks for a great giveaway opportunity! My favorite chews are beef trachea, curly bully sticks, and Zuke's Z Bones! Kandy and Kody's favorite chew is bully sticks. The flavored chew sticks. She won't chew 'em if they aren't flavored.